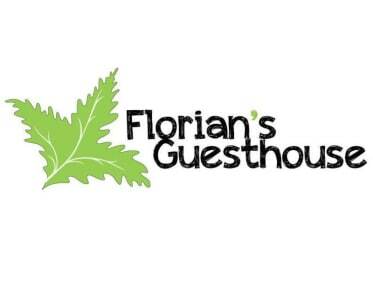 Florian Shkodra Guesthouse i Shkoder, Albania: Bestill nå! Our family offers guests both accommodation, and we hope amemorable experience from a place where hospitality, history and natural beauty combine in a perfect harmony. Having a dinner party at our guest-house is a fantastic way to connect with our local culture and tradition. Our guests enjoy delicious and healthy local foods grown right here...nothings fresher! 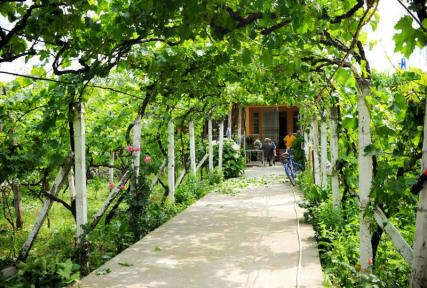 You will sample wines in the canopy of the grapevines and see the place where the grapes are pressed. You will share in great conversation ,food and drink with our family, among them - a professional chef and a winemaster with decades of experience. Our proerpty is a special place and we’ve been fortunate to have many special people visit us. Our guests like going to places which are authentic and off-the-beaten-path. They share their stories over dinner and often make connections for their trips in Albania and beyond. So come and join our dinner party and you will leave as a friend! For groups of three or more who are not staying overnight at our property, we provide free transportation to and from your place of accommodation in Shkodër. On request, we can arrange for a rental car, transfers and other transportation requests (newest mode of transportation help was a carpool service). Drop offs of rental cars can also be arranged if your travel plans do not accommodate back tracking. We also help arrange horse-riding tours, organize custom tours to the nearby mountains, rivers, lakes, sea, museums, castles and various historical places in the center and countryside.